Step-1. Firstly Download Xampp Server then go to c drive and open Xampp server folder then open htdocs doc folder then create a new folder with QRcode. Step-3. After Download Extract zip file then copy Qrcode folder and paste inside xampp->htdoc->Qrcode folder. Step-4. Outside the library, folder creates new file generate.php. Step-5. Copy this code and paste generate.php then save. Step-6. Go to the browser then open new tab then type localhost/foldername/generate.php. Step-7. If you want test Qrcode is working or not download code two Qr code desktop software. Step-8. If you want to save Direct data in Qrcode create a new folder then make index.php file then copy this code and paste the index.php file. Step-9. 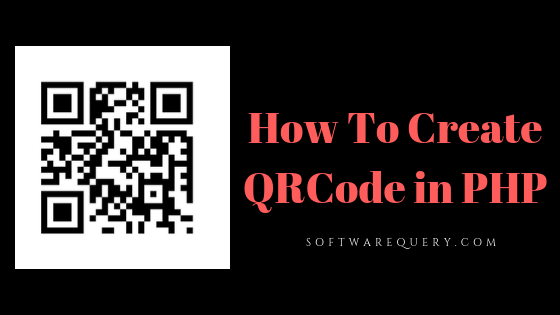 Create another Qr.php file then copy this code and paste Qr.php file.